A 24-year-old man was killed and three others were injured when their car hit a guardrail on Interstate 5 near SeaTac on Saturday, according to the Washington State Patrol. The man killed was driving the vehicle, while the other three were passengers. No one was wearing a seatbelt, police say. Reports say the car was driving erratically, at speeds around 75 to 80 miles per hour, when it hit a barrier on I-5 northbound at South 188th Street near SeaTac. WSP says the top of the car was “peeled back” from hitting the barrier. There is no word yet whether drugs or alcohol were involved in the car crash. The three injured people, all reportedly in their early 20s, were taken to Harborview Medical Center in Seattle. A male and female passenger are both in serious condition. Another male passenger broke his arm. Although just one vehicle was involved in the above incident, it is possible for the injured passengers to file a personal injury claim against the driver’s insurance, despite the fact the driver is deceased. As with any personal injury claim, the injured people must prove two things: negligence (was the wreck the driver’s fault) and damages (how badly the passenger was injured). Passengers injured in an accident oftentimes feel guilty or uneasy about filing a claim against a friend or family member. But remember: you are making a claim against the insurance policy, and you have every right to do so. These cases are not personal – it is simply the only way victims can get compensation for their injuries. The reality is that most cases do not lead to a lawsuit, and money received as a result typically comes from the at-fault party’s insurance company. 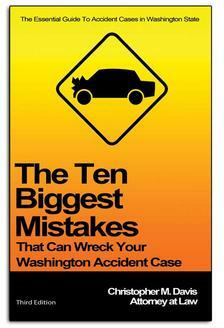 Unfortunately, this causes insurance rates to go up, regardless of fault. Insurance companies know the passenger in a crash doesn’t usually want to sue a friend or family member, even when that driver is negligent. Insurance companies will leverage this information. Don’t be surprised if an insurance company investigates these types of inter-family claims to find out if any fraud is occurring – did the driver crash the car on purpose to allow a passenger to file a personal injury claim? 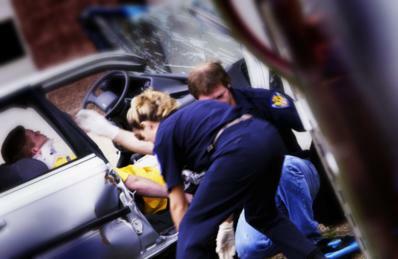 You may need to hire a personal injury attorney to help you navigate all the angles of the incident. If you are injured as the result of another person’s negligence, regardless of their relation to you, the law is on your side. Most personal injury lawyers, including attorney Chris Davis of the Davis Law Group, P.S., in Seattle, won’t charge you a fee until they recover damages. Get medical attention first, then talk to an attorney to begin your road to recovery. If you or a loved one has been hurt in a car accident in Washington state, contact Davis Law Group at (206) 727-4000, use the chat feature below or fill out the contact form on this page to schedule your free legal consultation.